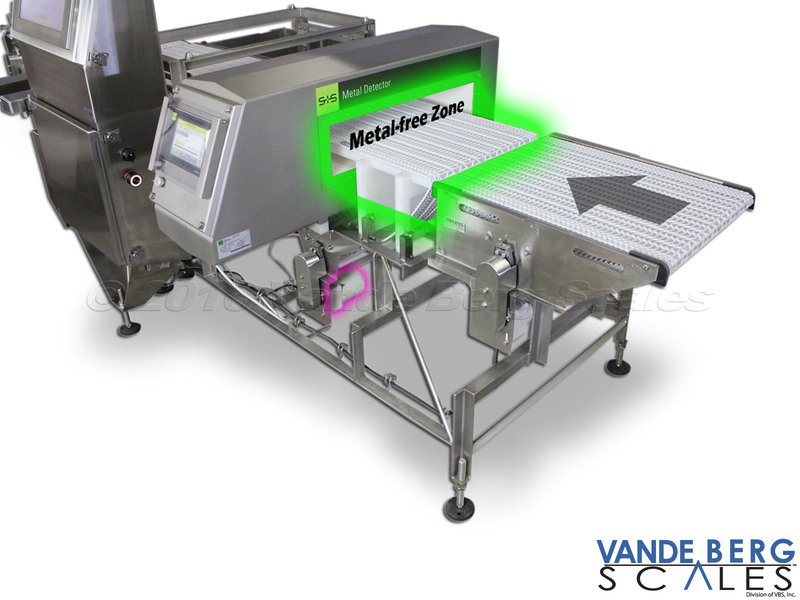 Compact & Mobile Pizza Metal Detector with divert and reject bin. Combination Metal Detector with In-Motion Checkweigher allows for installation into tight spaces. 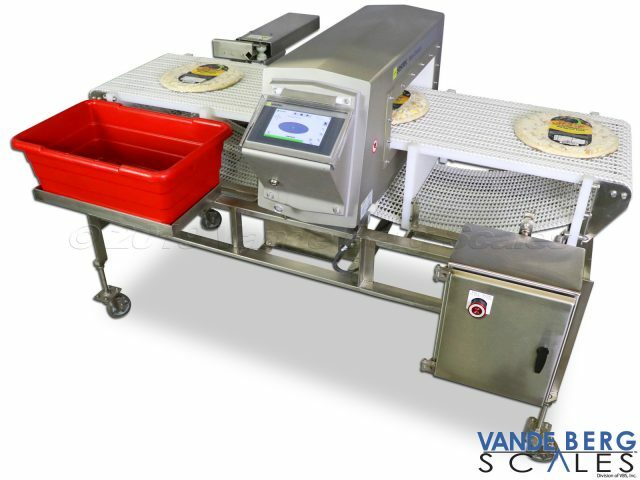 High-profile metal detector with wide conveyor belt - useful for scanning large parcels. 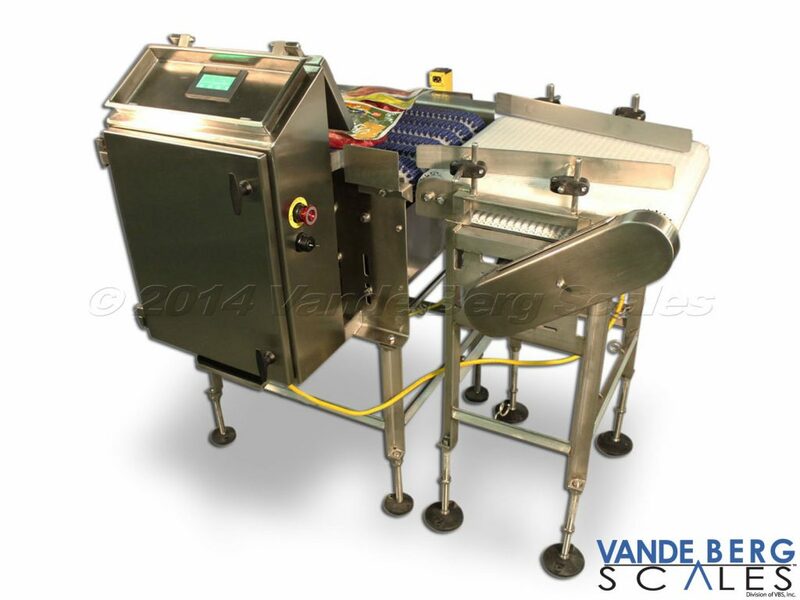 Metal detector with alarm light and divert that will reject metal containing food product into a grey bin. 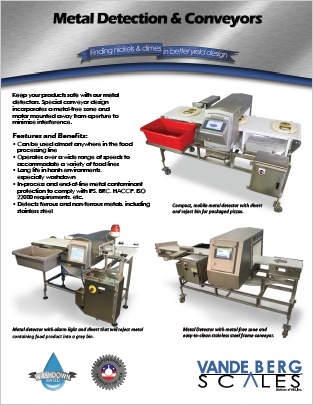 Keep your products safe with our metal detectors. 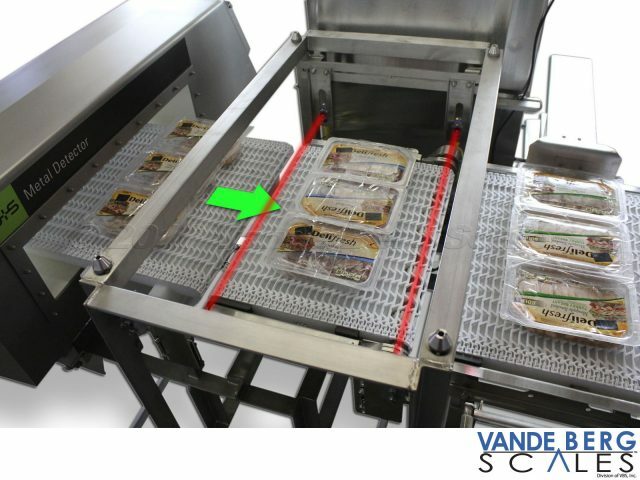 Special conveyor design incorporates a metal-free zone and motor mounted away from aperture to minimize interference. In-process and end-of-line metal contaminant protection to comply with IFS, BRC, HACCP, ISO 22000 requirements, etc. Conveyor motor (purple) is mounted away from the metal detector aperture ensuring EM fields do not interfere. Also, a metal-free conveyor section (green) ensures metal is not near the aperture. 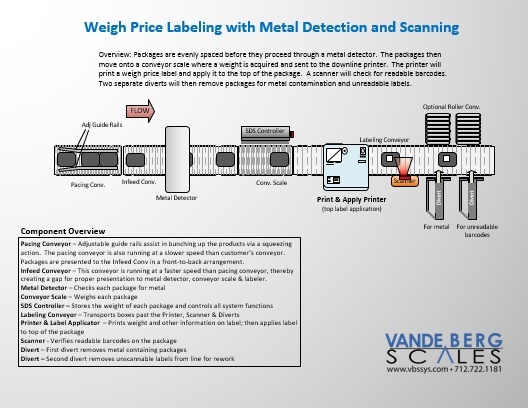 A checkweigher often follows a metal detector ensuring packages are proper weight. 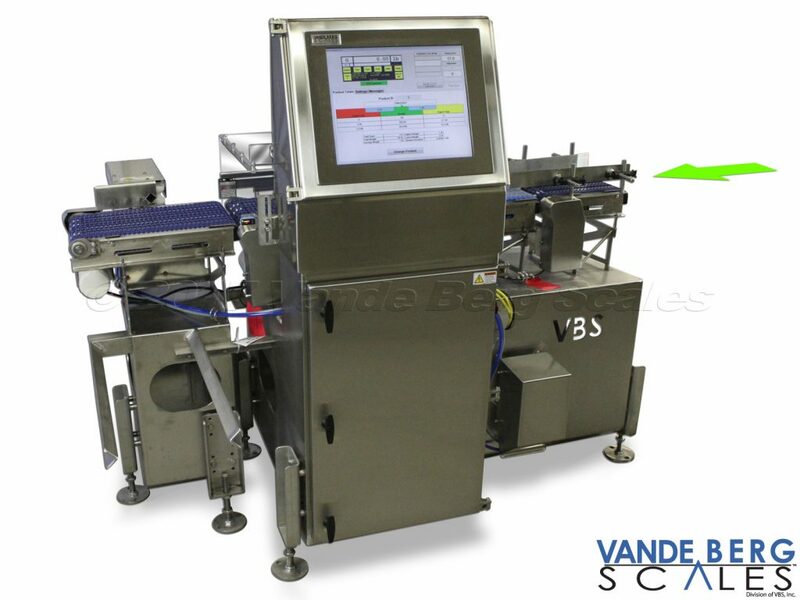 Phototeyes detect the leading and trailing package edge to begin the weighment cycle. 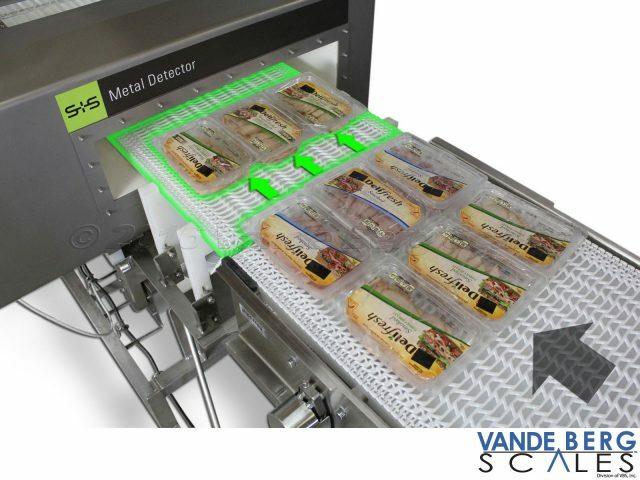 The metal detector belt also acts as a speed-up belt thereby creating the proper gap for each row of products ensuring adequate metal scanning. 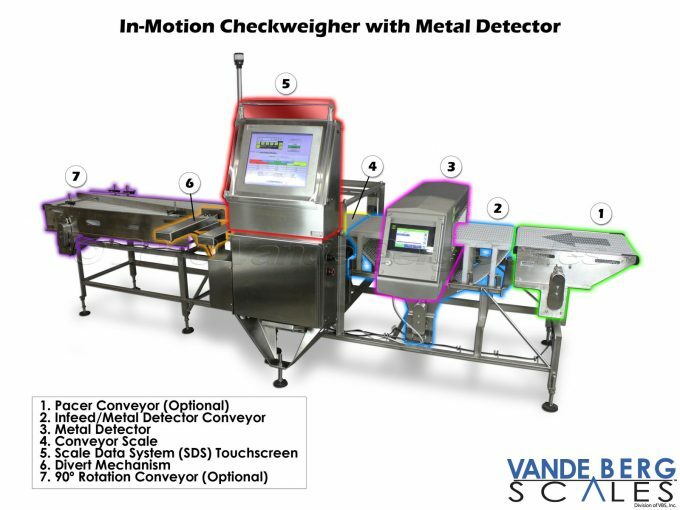 Decide what types of metal you need to detect. There are two main categories of metal: ferrous and non-ferrous. Ferrous metals are derived from iron or contain iron. Non-ferrous metals are all others. 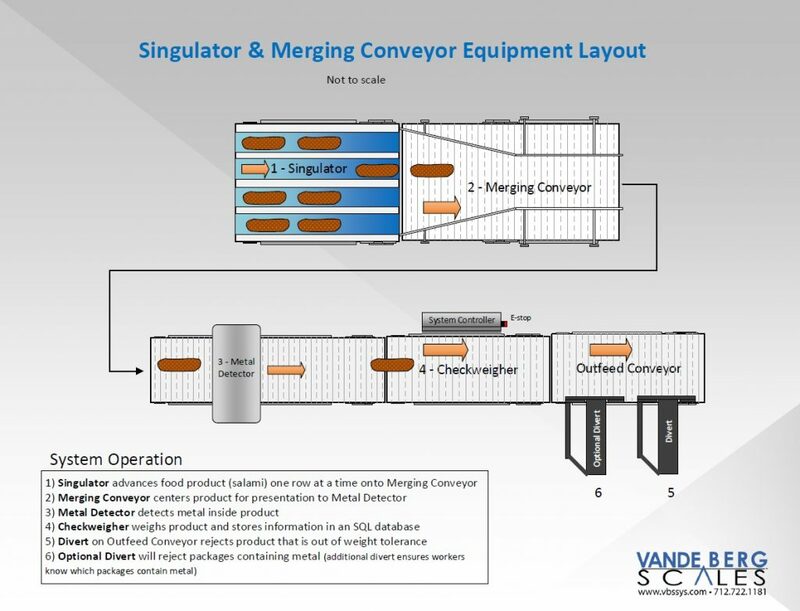 Take a careful inventory of the types of metal in your operation that could possibly end up in your products. What sizes of metal contaminants do you need to screen for? You need to be practical and realistic with this question because if you specify too much sensitivity, you will get too many false alarms and vice versa. 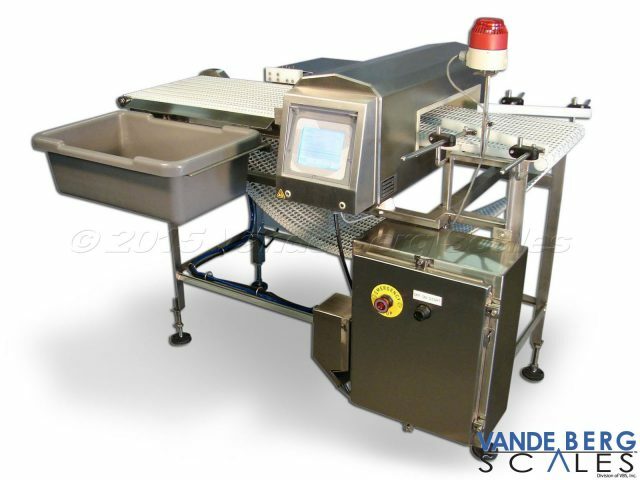 Know the operating environment and the product characteristics – The operating environment includes the temperature and whether water, dust, or chemicals could come in contact with your metal detector, as well as possible electrical fields. Additionally, is the product fresh or frozen, packaged or exposed, scanned individually or in a case? All of these factors will go into the design of a metal detector that will fit your needs the best. Reject System considerations – Most commonly, a pusher or an air blast is used to divert products where metal has been detected. However, you could save space by having the conveyor belt stopped and a warning light activated. 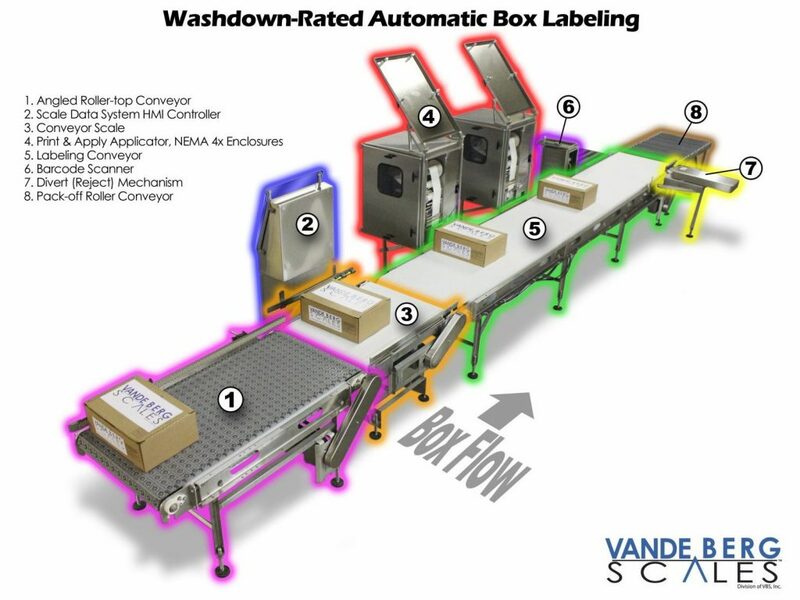 Additionally, an optional Lockable Collecting Container prevents unauthorized employees from gaining access to rejected product. Download our questionnaire and fill it out to get a quote. Didn't find what you're looking for? Try these products. 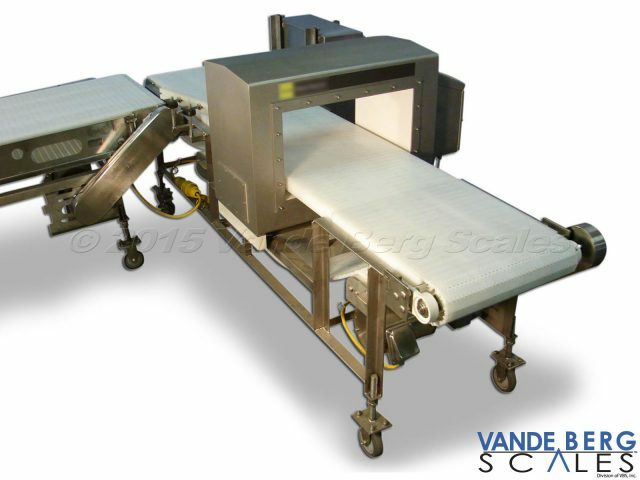 Vande Berg Scales has built a solid presence in the meat, dairy, food, and manufacturing industry as a leading force in dynamic weighing and automation with over 50 years experience. Copyright © 2019 VBS, Inc.